Dr. Bradley Moatz sees patients at MedStar Orthopaedics. 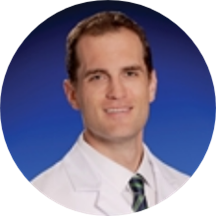 Dr. Moatz has thorough training experience, which includes a residency in orthopedic surgery at MedStar Union Memorial Hospital and a fellowship in spine surgery at Emory University Hospital. He proudly looks after the Baltimore, MD community. He is a skilled orthopedic surgeon and spine specialist. He earned his medical degree from the Pennsylvania State University. Dr. Moatz holds active memberships in the North American Spine Society, the American Academy of Orthopaedic Surgeons, and the Maryland Orthopaedic Association. He is board-certified by the American Board of Orthopaedic Surgery. Dr. Moatz is passionate regarding his domain of expertise and feels a great sense of accomplishment and joy in helping restore a patient's function. He recognizes that improvements in mobility lead to an enhanced quality of life and works closely with his patients in achieving the same. Dr. Moatz is a patient-focused provider who emphasizes on building relationships with his patients and works towards creating a personalized treatment plan. He is committed to making each patient’s experience at the clinic as comfortable and effective as possible.